Following are the books and catalogs I have for sale. 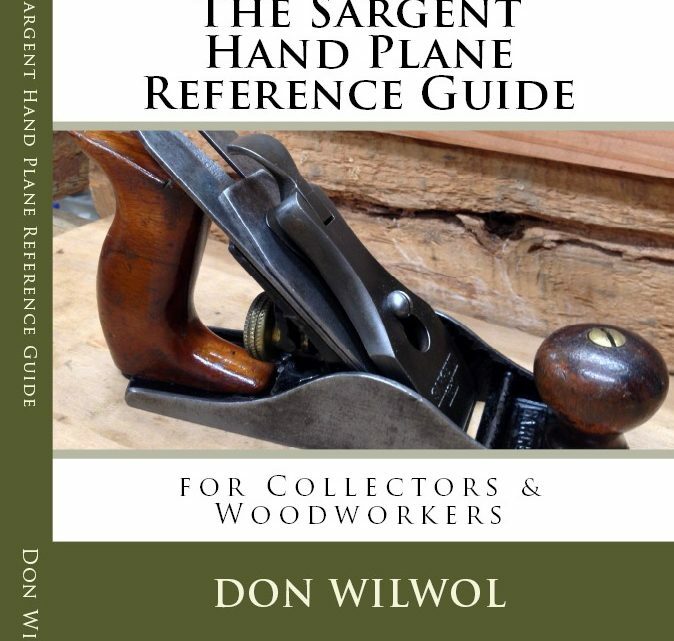 The Sargent Hand Plane Reference Guide for Collectors & Woodworkers is an in-depth study of Sargent hand planes from the earliest patented designs to the end of production, including brief descriptions of each plane in Sargent’s extensive line. It’s a collaborative effort between author Don Wilwol and a number of fellow Sargent collectors and enthusiasts all sharing a passion for vintage tools, especially those manufactured by Sargent from the mid 1800s through the end of production in the 1960s. This digest of information includes dating type studies and dates of manufacture, other brands using Sargent hand planes, collecting tips and authors notes, comments and sections on hand plane tuning and maintenance. 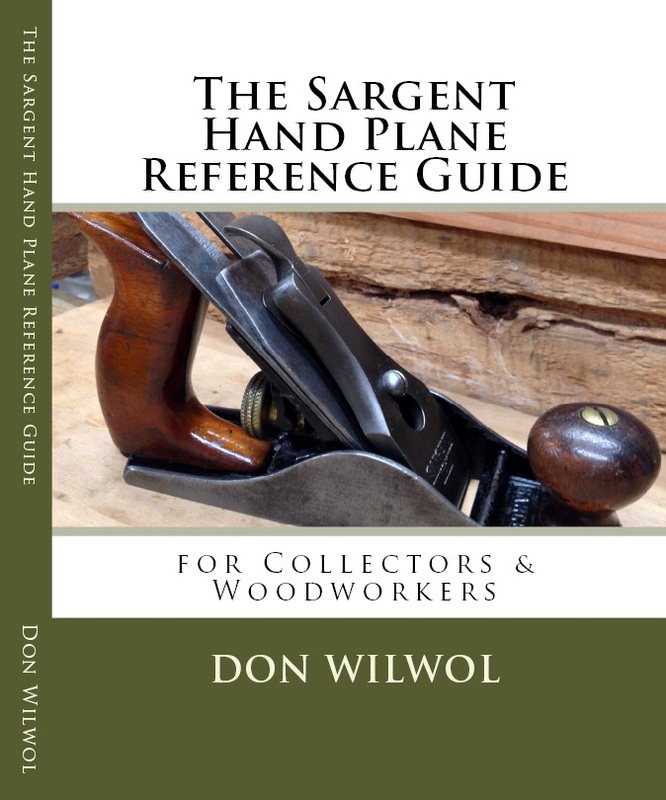 It has been referred to as an encyclopedia of Sargent hand planes with over 250 pages of vital information, original catalog images (with manufacturer’s product descriptions) and beautiful color photos of examples from the author’s and contributor’s collections. 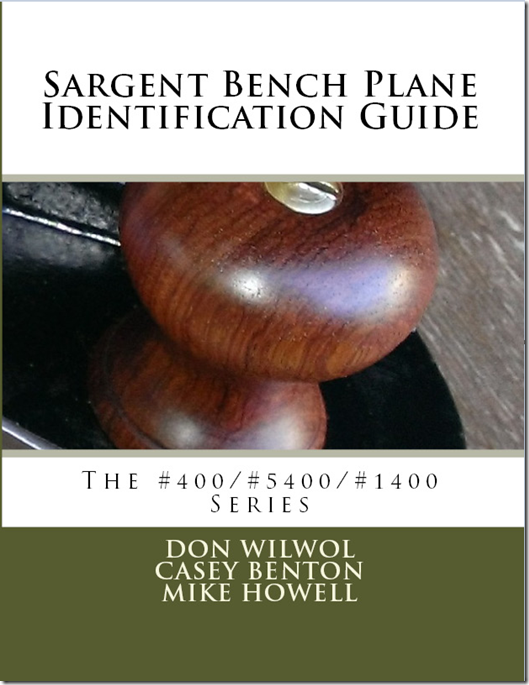 This book is dedicated to the education of other aspiring and experienced collectors of Sargent planes and woodworkers who wish to include them in their arsenal. STANLEY TOOLS, 1923, SET OF 16 FULL-COLOR PRINTS. 9″ x 12″. Same as in 1923 catalog, except printed on heavy glossy stock with wide borders for framing. 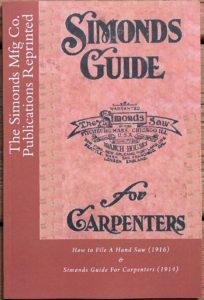 Includes boxwood rules, zig zag rules, iron and wood levels, bevels & try squares, framing squares, braces, Bailey & Bedrock iron planes, wood bottom & block planes, special- purpose planes, Nos. 45 & 55 comb. planes, hammers, screwdrivers, Everlasting chisels and mitre boxes. THE H.D. SMITH & CO. DROPPED FORGED TOOLS. PLANTSVILLE, CONN. CATALOGUE NO. 25 1920.6″ x 8″, 36 pp., soft-cover. Illustrates, prices and describes scores of high quality “Perfect Handle Tools” manufactured by this company. Includes screwdrivers, pipe, monkey & open-end wrenches, hatchets, drawknives, chisels, pinchers, etc. MILLERS FALLS NO. 35. 1915. 6″ x 9″, 183 pp., soft-cover. Complete line of braces, drill braces, comer braces, hand & breast drills, bench drills, boring machines, auto-screwdrivers, iron levels, chisels, spokeshaves, tool holders, mitre boxes, foot-operated lathes, fret saws, etc.